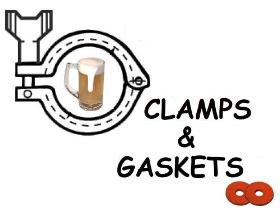 Clamps & Gaskets: News Roundup for Weeks 37/38, 2017. Craft has come on strong lately. In the latest IRI, to September 10, the segment's dollars are up 5.9% and volume up 4% YTD in the multi-outlet and convenience channel. Those trends improved in the latest 12-week period with dollars up 6.9% and volume up 5.1%. And things got even better in the latest four weeks, with dollars up 8.3% and volume up 6.2%. That's among its best showing of the year. —Via Craft Business Daily, at YFGF (at Facebook). Anheuser-Busch InBev goes down under to expand its hegemony, buys 4 Pines Brewery, a 'craft' brewery in New South Wales, Australia. 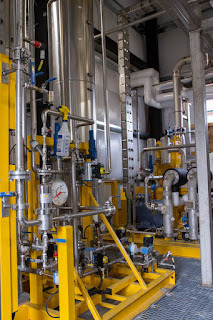 —Via MillerCoors Behind the Beer. We’re going to get into this category and we’re going to kill it. Two past employees of Anheuser-Busch reveal how the company regarded 'craft' beer in the mid-1990s (when A-B was still American-owned) and how it reacted toward it. The murderous comment above was one reaction of several. National Cask Ale Week is an eleven-day week "only in Britain, only in pubs. Celebrating Britain's national drink." Organized by Cask Marque (a real ale pub accreditation service), the celebration runs 21 September through 1 October in the U.K.
Cask Ale Week's main objective is to get more people trying real ale and encourage more pubs to organise real ale events throughout the week. Encourage non-real ale drinkers to try real ale for the first time. Encourage experienced real ale drinkers to visit real ale pubs throughout the week. Encourage non-real ale pubs to stock real ale for the first time. Encourage pubs to organise a number of real ale events to increase trial and improve their trade. A direct hit by Hurricane Maria leaves Puerto Rico an "island destroyed." It was the first Category 4 storm to strike the island directly since 1932. An archaeological team from the Universidad Catolica de Temuco in Chile has found traces of S. eubayanus —the cold-resistant parent of lager yeast parents (the other being Saccharomyces cerevisiae, ale yeast)— in 1,000-year-old ceramic pottery at Lake Melinquina in Argentina (near the Chilean border). Perez’s find suggests that the group who made the ceramic vessels were probably using them to make a fermented drink from plant products, similar to the 'chicha' or 'mudai' beverage drunk in the region today. That might mean they were doing so using the yeast S. eubayanus to make alcohol more than 200 years before lager production began in Bavaria in the 1400s. Roy ‘Speedy’ Tolliver, an Arlington, Virginia-based bluegrass fiddler and ‘professional hillbilly,’ who performed at local folk festivals for 65 years and was an inaugural recipient of the Virginia Heritage Award in 2009, has died at 99. Bourbon, rye, and gin: different daughters of the same mother? The lineage tree of genever, gin, bourbon, and rye in America. 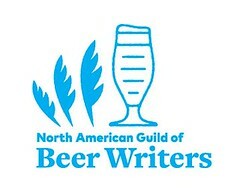 —Via Gary Gillman, at Beer et seq..
What's new is old. In 1679, English Enlightenment philosopher John Locke was categorizing English beer (what we now would beer styles): home-made, for sale, and compound. 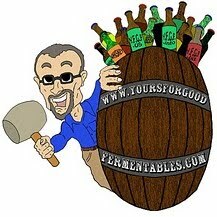 —Via Alan McLeod at A Good Beer Blog. After five years of consistent growth (driven primarily by 'craft' beer), the active number of individual beer items sold at U.S. retailers is in decline. The number of SKUs — an acronym for stock-keeping unit, a measure used to track unique items available for sale — available on retailers’ shelves stood at 12,786 on the end of August 2017, down 3.4 percent at the end of 2016, according to a report from Brett Cooper at Consumer Edge Research. While that is nearly double the 6,388 active SKUs at the beginning of 2011, the retreat this year shows the craft segment may be in a period of "rationalization." 'Craft' beer SKUs dropped to 9,021, down 5.7 percent. Harry Dean Stanton, the veteran American actor who "ballasted generations of independent and cult films," such as Paris, Texas, Alien, Repo Man and The Straight Story, has died aged 91. Launched in 1997, Cassini was the first probe to orbit Saturn, beginning. in 2004. The spacecraft revealed the structure of Saturn's rings and, by delivering the Huygens probe to the moon Titan, executed the first landing of a spacecraft in the outer solar system. It also exposed two moons — Titan, a land of methane lakes, and Enceladus, which has jets of water streaming from its southern pole — as prime targets in the search for life beyond Earth. Once the spacecraft ran out of fuel, NASA would not risk letting it remain aloft, where it might be knocked into Titan or Enceladus. In April, Cassini began 22 close-in orbits that took it between and behind Saturn's rings. NASA flew Cassini past Titan one last time, taking advantage of the moon's gravitational pull to slingshot the spacecraft toward Saturn, before it plunged into the planet's surface early Friday morning, 15 September. —Via Washington Post. A New Jersey man was severely gastrointestinally burned when a bar in Atlantic City served him a draft beer tainted with caustic that had been used to clean the beer lines, but not rinsed. The seven essential cocktails every drinker should know how to make: Daiquiri, Gin and Tonic, Manhattan, Margarita, Martini, Negroni, and Old-Fashioned. —Via M. Carrie Allan, at The Washington Post. Hurricane Irma was the most intense Atlantic hurricane to strike the United States since Katrina in 2005, and the first major hurricane to make landfall in Florida since Wilma in 2005. Irma caused widespread and catastrophic damage, particularly in parts of the northeastern Caribbean and the Florida Keys.